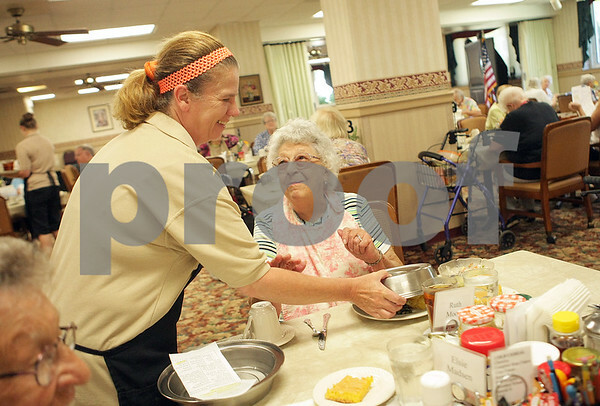 Barb City Manor wait staffer Joyce Booker (left) serves Ruth Moore (center) lunch in the dining hall in the facility on Monday, July 7, 2014. The dining hall was one of the improvements Barb City Manor made to the building years ago with the money from DeKalb's Tax Increment Financing District. Moore turned 93 on Friday.